2013 South American Beacon Project: Update So Far! 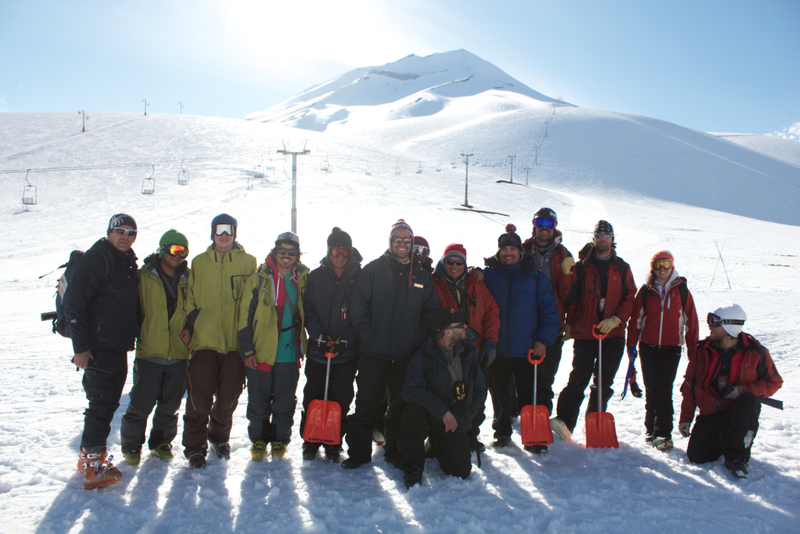 In August of 2012, Ortovox Germany supported the South American Beacon Project at Nevados de Chillán for a tech-specific beacon clinic aimed at snowcat drivers and ski area employees who would not normally consider themselves at-risk for avalanche danger. Sadly, a snowcat driver was killed in an avalanche last year at Nevados de Chillán while he was clearing the road to the ski area. 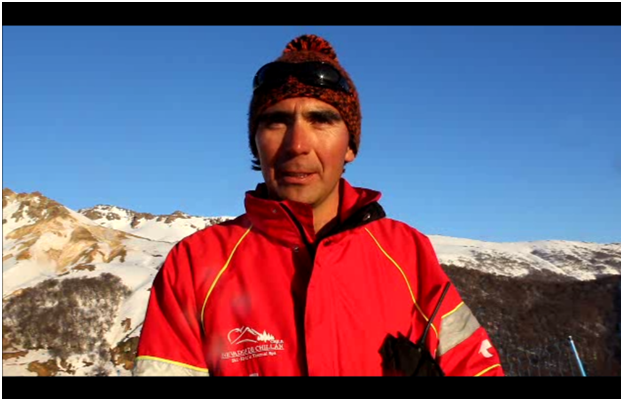 Just another way the South American Beacon Project is helping to educate everyone about avalanches, not just ski patrollers. 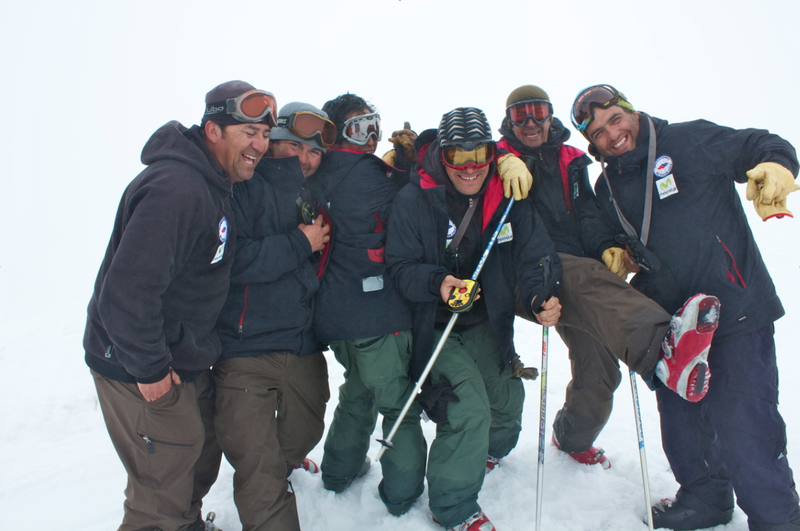 September 2012: SABP founder Alex Taran was joined by the late, great Theo Meiners and Camila Bahamonde in El Colorado for three days of snow safety instruction. Read more about it here, on Alex’s personal website. 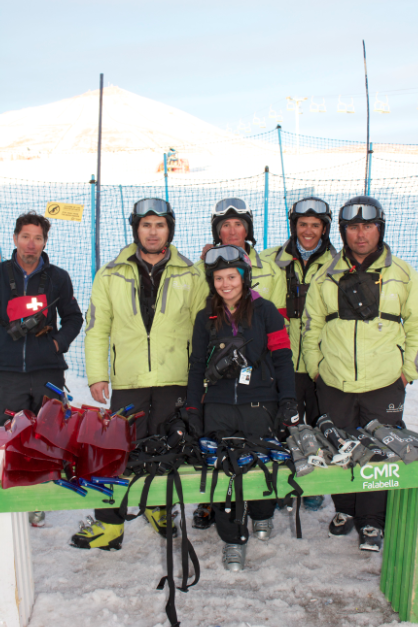 Lonquimay-Corralco: 2 day course available for lift operators, ski instructors, and ski patrollers. 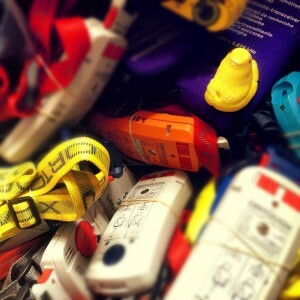 Beacons were donated and left there for the safety of the ski area employees! Photo below. just that these skills become rusty without practice. Some of them even have a level 2 certification. 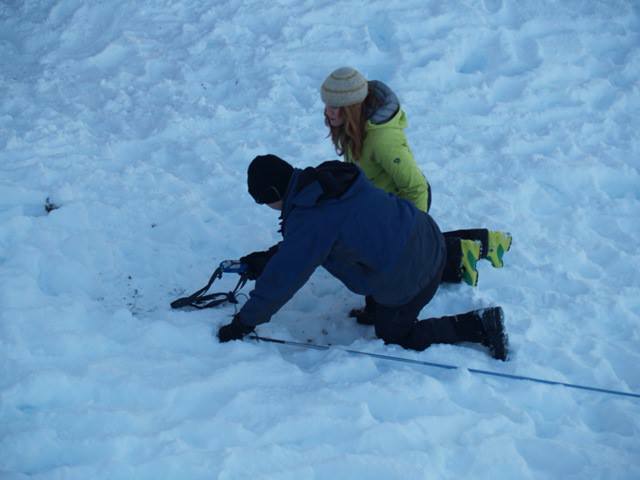 It’s hard to practice these skills without the proper equipment.” The SABP donated 8 beacons, shovels, and probes to the Volcan-Villarrica crew. are happy to be able to give 15 beacons, shovels, and probes to El Colorado Patrol. El Colorado borders (and actually owns the majority) of an area known as “Santa Teresita.” This area includes a multitude of 2,000 ft slide paths that end on the road to Valle Nevado. Some would argue that it is the biggest lift accessed terrain in Chile (while not officially open to the public). In 2008 this path slid and closed the road to Valle for several days, as well as in a separate incident created a fatal avalanche accident. 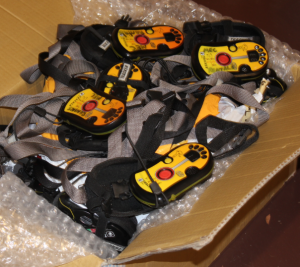 Previous to this donation El Colorado had 4 beacons for 30 patrollers. 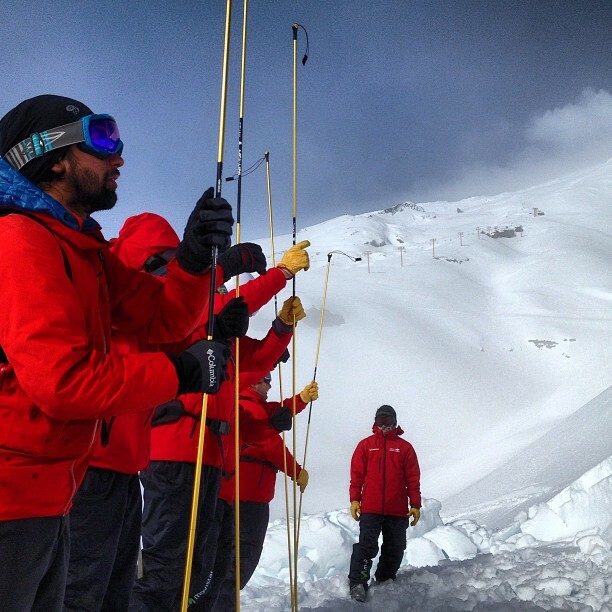 El Colorado patrol is changing drastically to equip and educate all of their patrollers in the realm of avalanche safety. The South American Beacon Project is proud to be able to be a part of this change. Santiago Chile has a population of 7 million people. It is by far the biggest concentration of people in country, which is comprised of only 16 million people. 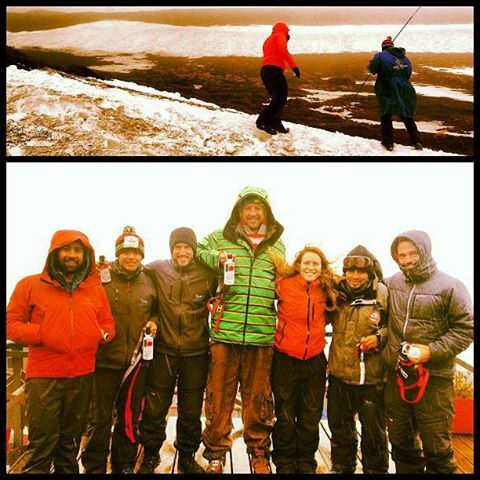 When Santiago chooses to go ski, it will most likely choose to go to the Tres Valles. 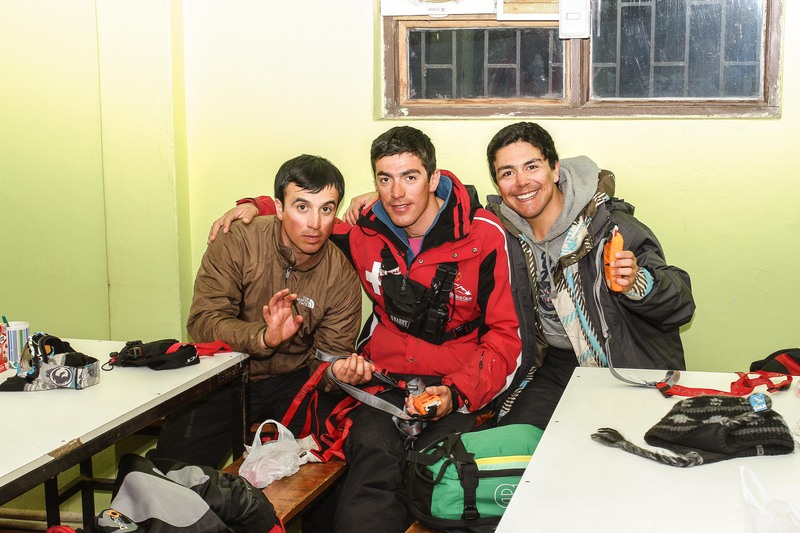 “Tres Valles” is the term the locals use to describe three ski areas: La Parva, El Colorado, and Valle Nevado. Each ski area while connected by boundaries, function individually. They have their own lifts, patrol, and ticket system; they are entirely different companies, who don’t work together on anything really. The South American Beacon Project in Conjunction with Ortovox changed that this year. 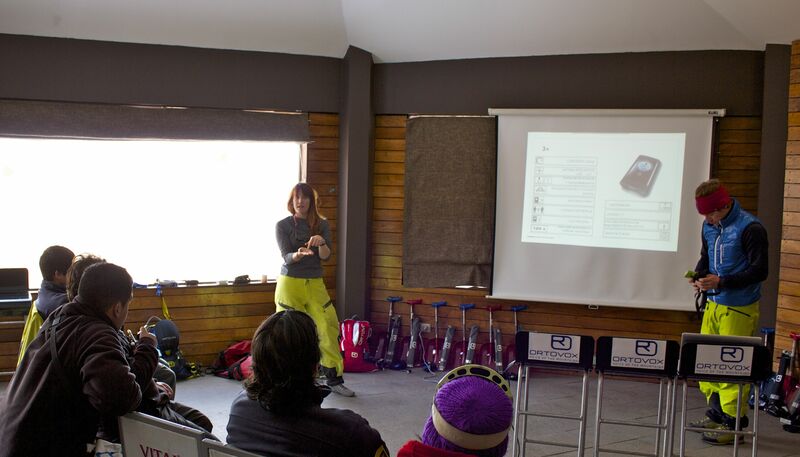 On August 8th, patrollers came from all three resorts to La Parva for a class specifically on beacon technology. This is the first time to our knowledge all the ski areas have met for unified rescue training. The class started inside and covered subjects as basic as partner rescue, and as complex as overlapping signals and the effects on different digital beacons. Then the class went outside and went through flux line and searching exercises. For a lot of us in ski towns beacons are a part of our essential gear, myself as a worker in a rescue organization (ski patroller), I wear one everyday. Every couple years our department updates our beacons to ensure that we as rescuers have the latest avalanche rescue technology, after all that is our job. Not all rescue organizations who use beacons are solely skiing related organizations. The Fire department in Ketchum Idaho is a great example of this case. As it came time to replace their old fleet with newer technology the department was left with 25 Ortovox M2s. Enter Miles Canfield, a firefighter who saw a second, very important life for the beacons. “I like knowing that a tool that was once valuable to me can be passed on to some one to appreciate it…when you have nothing, you are happy to have anything,” says Miles about donating to South American Workers effected by the project. 1 peeps (the kind made out of marshmallows that your mom probably wanted to kill you for plastering her microwave with…as an experiment of course). This donation is the South American Beacon Projects biggest donation yet. So a huge thanks to Miles Canfield and his fellow members of the Ketchum Fire Department, as well as all the people in and around the area surrounding Ketchum who donated. Please stay tuned to our website to see the awesome effects of your life changing donations! Thanks to Benny the event’s info was published on Transworld, Powder Magaizine, and Unofficals websites. 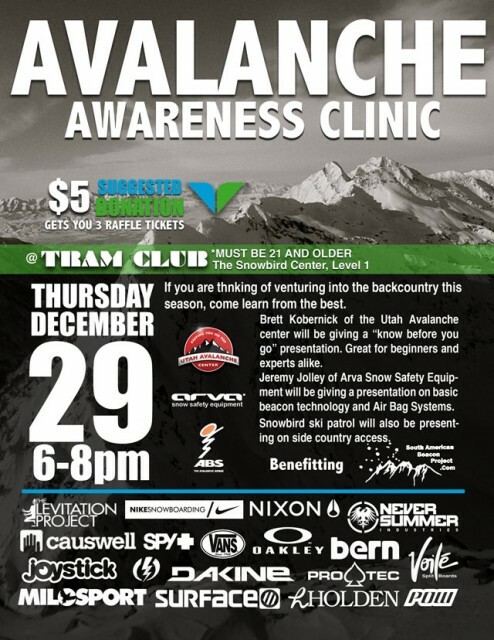 A Huge thanks to Benny, Cowboy, Jimmy Collinson, BJ Emery Cameron Carpenter, Milosport, The Levitation Project, Voile, Nike Snowboarding, Oakley, Nixon, Never Summer, Surface, Causwell, Spy, Vans, Bern, Dakine, Protec, Pow, Holden, and everyone who showed up to help us raise over 1,000 dollars to benefit South American Ski Communities! She went into the back to grab the box; it was so big it couldn’t fit into the South American Beacon Projects postal box. As she set the box rather heavily on the counter I read the return address, Vancouver. This was the box we had been waiting for; and this is what 34 beacons look like. Thanks to MEC and Salomon, and one really determined employee, Scott Winston (Z.) we have the opportunity to put 30 + beacons into the hands of South American workers who cannot afford them. Mountain Equipment Coop, Vancouver, was changing their demo fleet for this season and Scott knowing about the mission of the South American Beacon Project saw this as an opportunity.He found which hoops he needed to jump through to convince MEC to make this happen. And then thanks to the new Salomon store in Vancouver they were shipped to us at no cost to our project. The ski community is a tight one, we all share the same passion for the mountains so support from MEC and Salomon is not a surprise but still very appreciated. Mountain Equipment Coop was started in the early 70s from the idea of 4 people sitting in a tent at Mount Baker. They saw the need for a distributor of climbing gear in Vancouver. Because it just wasn’t available or was too expensive in the Vancouver area. We at the South American beacon project have similar roots; the idea was formulated while hitchhiking in the back of a pickup truck from a backcountry ski zone called Santa Teresa. 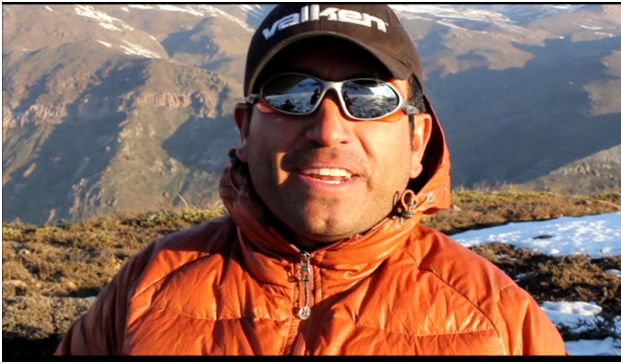 South Americans simply need more avalanche awareness and workers more protective gear which simply isn’t available or far too expensive. While MEC is obviously a retailer making profit and we are an organization working not for profit our similar pasts make this partnership and understandable one. 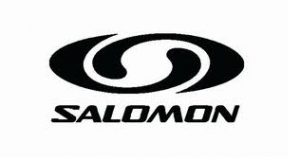 Salomon is one of the Leaders in high quality sport equipment. Their innovative designs are made to help athletes of all levels push harder, perform better, and go farther. They understand that when athletes push farther a lot of times that means into the backcountry and uncontrolled zones with potential hazard. Salomon transporting these life saving tools to us is just another testament to their commitment to the sport and multiple levels. Most of us go about our daily lives worrying about our spouses, payments, that lady who was just a jerk in the 7 11. For most of us our good deeds are helping the old lady who dropped whatever she was carrying pick it up, letting other people out of the elevator first. For Scott he did in a matter of months what many of us don’t do in a life time, he acquired the life saving tools for 30 + people. The next season they will be handed down to another 30 + people, and so on. While many might go into the Salomon store and see him as just a sales person, you can’t look at him in one dimension. 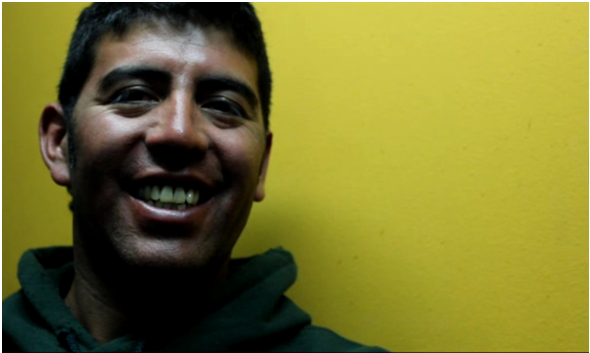 Tens of thousands of North Americans who go to Chile every year, Scott’s never been there. But next time you walk into your West Vancouver Salomon store know that the manager, possible your salesperson, has done more for the Chilean ski industry workers than the majority of the tens of thousands of skiing tourists who go there every year. MEC, The new West Vancouver Salomon store, and Scott! !